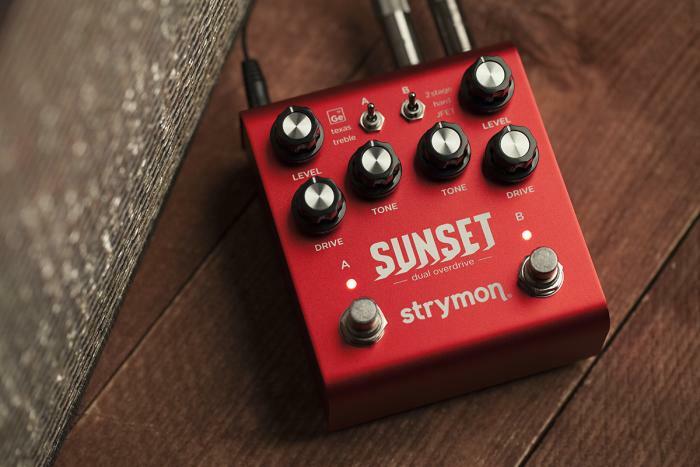 Strymon have announced Sunset; a brand new two channel overdrive pedal. It includes six different circuit types which are found in countless iconic overdrive pedals that have shaped the way musicians, and music has evolved. Sunset gives you the best of the best classic overdrive circuits, custom voiced for instantly gratifying control over a huge range of sought-after tones. We studied six circuit types found in many truly timeless and iconic overdrive pedals, and put our takes on all six of them into a single two-channel unit.